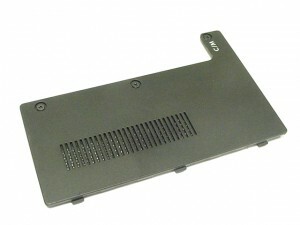 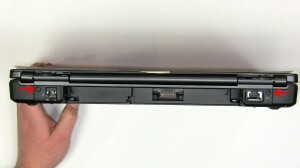 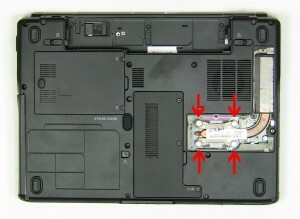 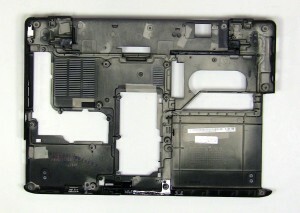 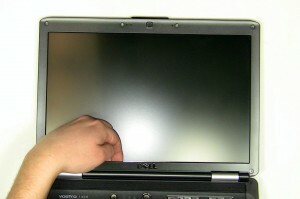 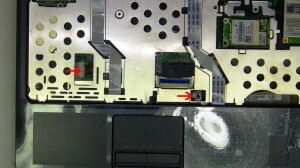 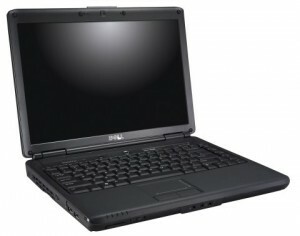 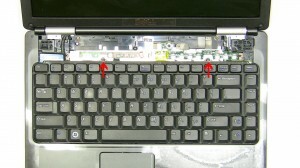 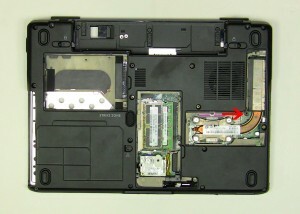 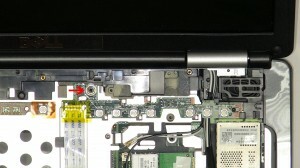 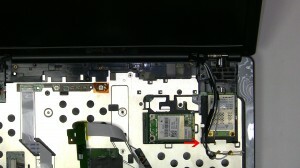 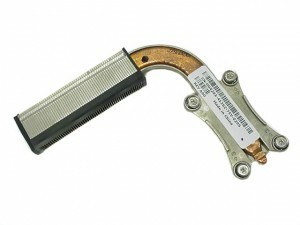 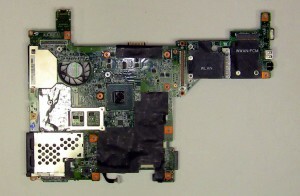 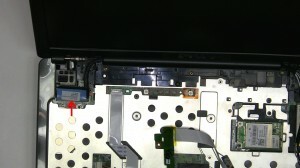 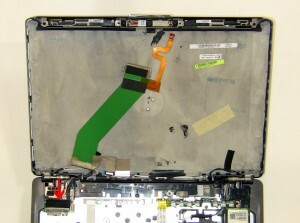 In this Dell laptop tutorial we are going to show you how to install and replace the Bottom Base Assembly on your Dell Inspiron 1420 / Vostro 1400 (PP26L) laptop. 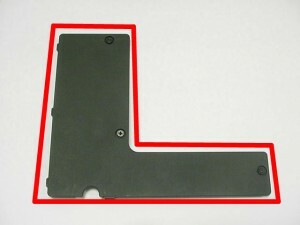 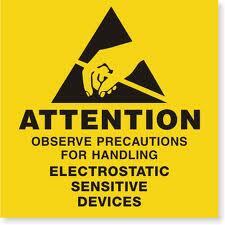 These installation instructions have be made into 28 easy to follow printable steps. We have also create a video tutorial that shows you how to install your Dell Inspiron 1420 / Vostro 1400 (PP26L) Bottom Base Assembly. 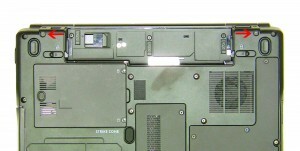 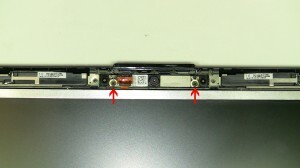 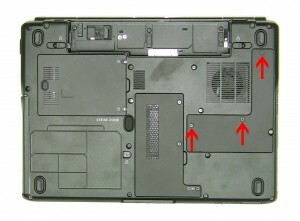 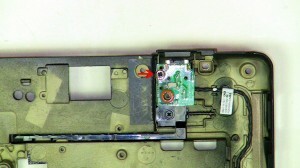 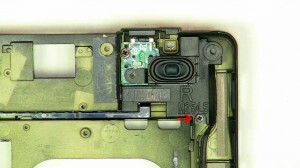 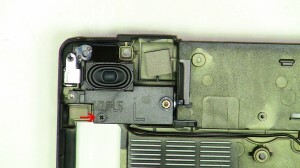 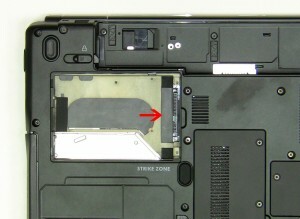 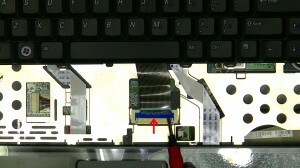 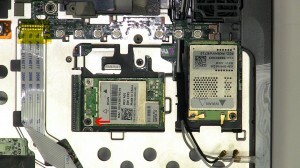 Remove the 2.5mm x 5mm Right speaker screw. 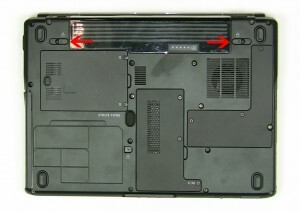 Lift the speaker away from the base. 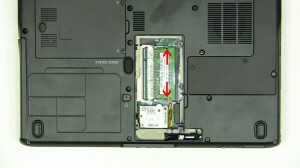 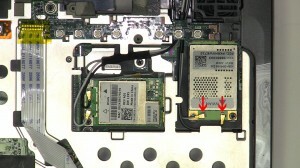 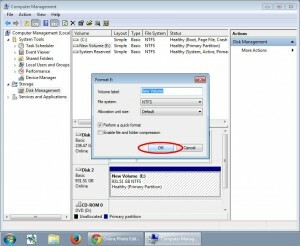 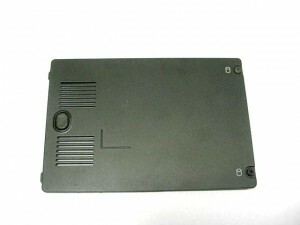 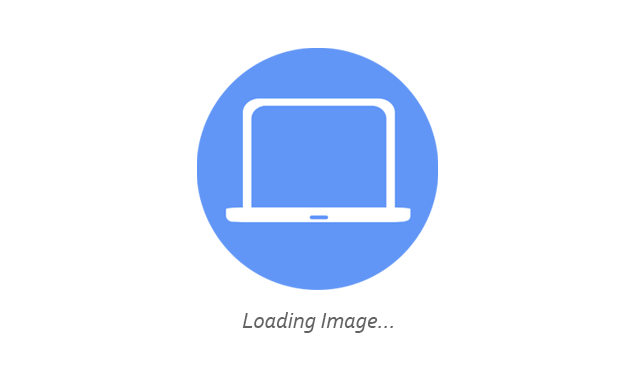 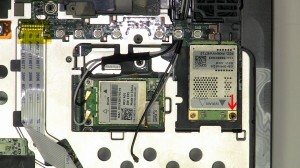 Lift the modem port away form the base.